Pool size only influences short-term variance of the rewards, not the amount. Btc prices is so bad. I am a miner and I feel teriale. Looking for some help / recommendations. I am running one 13.5 Th/s rated Antminer S9i on Slush Pool, Hardware version 22.0.1.3, firmware version Tue May 22 20:08:17 CST 2018. My hardware hash rate is not matching my scoring hashrate on slushpool. I understand that this will not match exactly because it depends on which are actually accepted by the pool... but my slush pool scoring hash rate seems to be all over the place. Most often 1 - 1.5 Th/s lower than my hardware is showing... sometimes close to normal at 13 Th/s, and even sometimes (rarely) showing hash score higher than my hardware 14+ Th/s. It seems to swing up and down all the time, while my S9i stays right around 13.5 - 13.6 Th/s. Attached is a snapshot of what hardware / slush pool is showing / chart history showing that its up and down all over the place. Does anyone have any recommendations as to how to get a more consistent scoring hashrate on slushpool of near 13.5 Th/s ? Your daily average is 13.4 TH/s so that’s pretty darn close to right on the money. Scoring hash rate does tend to vary in real-time, but you should only really pay attention to variance from expected hash rate on the 1 hr and longer time periods. does anyone still experience any issues with their Innosilicon a9? Any feedback is appreciated. Is "slush official" a legit account? It is an excellent question, minefarmbuy. Don't trust, verify! In order to prove our identity we signed a message for you with our mining wallet below. message: "SlushPool official @ bitcointalk.org - I'm Slush Pool operator." no block for almost 14 hours! is this normal? first time on slush! 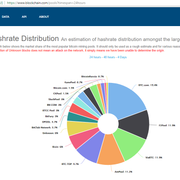 is it me or the slushpool drop to 3% of the world hashrate? Its proper bad! I have switched, Slush were upsetting me for some time with this irregular payment system that is near to impossible to keep track of.. better to have a payment at 12 midnight for your work and its done. not this rubbish.. miners working for days without a payment. Yeah you really need to keep an eye on the stats ... though some pools (ckpool) have none at all to verify such things and don't keep any share statistics to check such issues. Six hours later, slushpool is 7% <a href="https://ibb.co/fKc04y"><img src="https://thumb.ibb.co/fKc04y/7percent.png" alt="7percent" border="0"></a>. Is anyone else's Slush Pool stuck on block number 530395? Ahh ole slush letting huge miners “test” again. Was it an accidental block withold again? Asic boost gone awry ehh? Again no compensation sorry my bad guys. Remember this is beta after all. I’d suggest just because this pool is big means nothing. 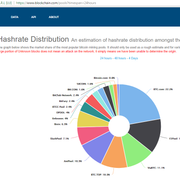 It’s mostly one or two people controlling that hash in the guise of looking decentralized . That’s why you have 400 peta miner with no blocks. And whoever that miner is surely doesn’t understand why bitcoin has value. Greed has no boundaries. Edit what I should say is greed has no consequence in today’s society. I have no worries nature will fix this for us sooner rather than later. Let us not ignore the signs. Can you please comment on this.